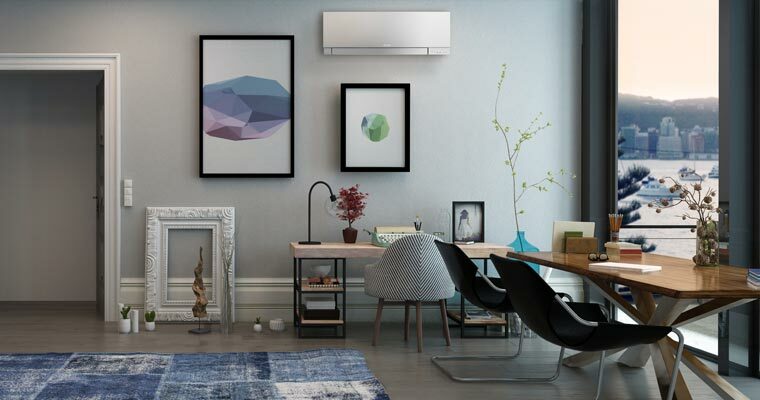 The Mitsubishi Electric Designer High Wall Heat Pump Series has an award winning design that compliments your home interiors. The series is available in a choice of different colours including Rich Black Diamond, Matte Silver and Glossy White. 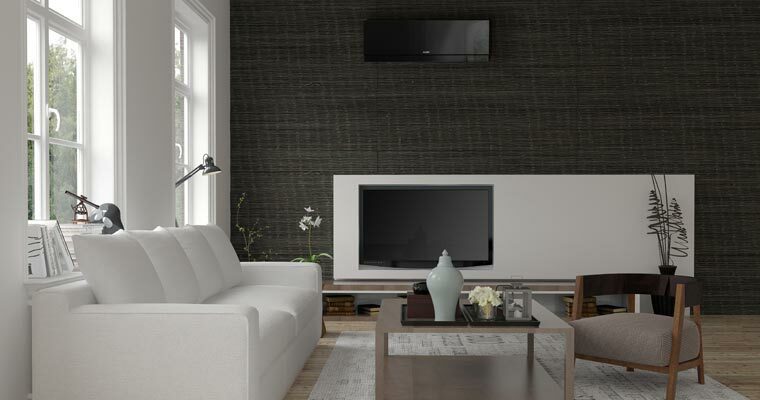 With its sleek, unobtrusive design, the Designer High Wall Heat Pumps are a stylish addition to any home. Championing Mitsubishi Electric’s commitment to quietness and comfort, the Designer High Wall Heat Pumps include a wide range of features to enhance its performance. Unlike many other heat pump brands, Mitsubishi Electric focus on heating rather than cooling. Whilst both functions can be utilised at any time, Mitsubishi Electric heat pumps are far better equipped to warm your home than other heat pumps on the market. The Designer High Wall Heat Pump Series come with an advanced ‘Silent Mode’. This feature is within the fan settings and starts at an incredibly quiet 21dBA. With such quiet, yet powerful performance, you’ll be able to relax in the warmth of your heat pump while barely knowing it’s there. The Designer Series also includes a combination of energy-saving features unique to Mitsubishi Electric. These features can be credited for reducing your overall energy consumption in your home or office. With this in mind, you’ll be doing your bit for climate change whilst enjoying a decrease in energy costs. When Mitsubishi Electric created the Designer High Wall Heat Pump Series they put a strong emphasis on style. The result was a contemporary, sleek design that doubles as both accessory and high functioning appliance. In 2015 Mitsubishi Electric took out the prestigious Reddot Design Award for the Designer Series. The Reddot Design Award is not given lightly and many companies strive for this seal of approval. However, it’s the excellence in design and quality that significantly sets Mitsubishi Electric apart from other heat pump brands. The Designer High Wall Heat Pumps are simply like no other heat pump on the market. Contact us to find out more about the Designer High Wall Heat Pump Series.